« Will April Showers Bring May Flowers for Jorge Posada? For most of his career, Derek Jeter has been a mainstay atop the Yankees lineup. Since the start of the 1998 season, the Captain has started only one game lower than third in the batting order, and that time he was called upon to hit cleanup. That’s why the idea of shifting Jeter back toward the end of the order has become such a controversial topic. Don Mattingly was a fixture in the three-hole for over a decade. Even before the ink dried on his new four-year extension, there were rumblings about how long Jeter would last as prominent figure in the batting order. Joe Girardi has always been quick to deflect that speculation, but with his shortstop hitting .242/.308/.263, the questions are likely to begin once again. During Saturday afternoon’s telecast on YES, Michael Kay broached the topic of batting order position with Paul O’Neill by asking him about the time he permanently replaced Don Mattingly in the coveted three-hole. Although the conversation was inspired by Nick Swisher’s constant movement throughout the lineup, it was impossible to not think of Jeter, which made O’Neill’s further elaboration all the more interesting. 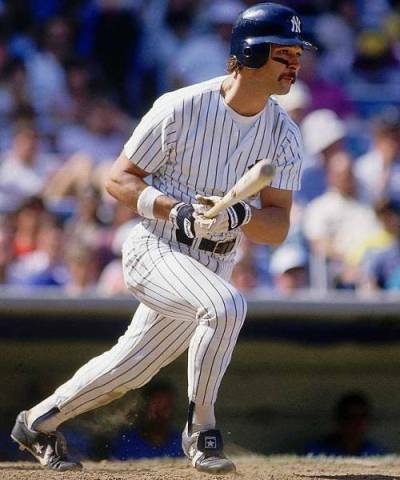 Although Mattingly had frequently batted second and fourth during his prime, the third slot was his primary home since he first emerged as a superstar in 1984. As the 1994 season progressed, however, an impending lineup change seemed unavoidable. Nonetheless, even with O’Neill batting over .400 well into June, Showalter continued to resist the change by deflecting the mounting questions. Soon, however, the Yankees’ manager could no longer put off the inevitable. The changing of the guard finally took place on July 20, 1994 in Oakland. Although O’Neill incorrectly recalled that the occasion occurred in Texas, his memory was dead on in one regard: Mattingly was exceedingly gracious when it came time to make the change. Always the consummate teammate, Mattingly deflected any notion of resentment and fully embraced the decision. In other words, he did what Captains do. Paul O’Neill ascended to the third slot in the lineup on July 20, 1994. If a very good player like O’Neill was so sensitive to his position in the batting order, one can only imagine how a future first ballot Hall of Famer like Jeter might feel about a demotion. On the surface, it sounds like a simple decision to move the struggling Jeter from the top of the order back down to the bottom, but there are many implications that need to be considered. 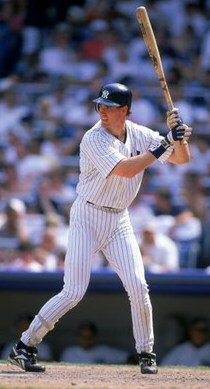 When Mattingly was removed from the three-hole, he mostly occupied the fifth and sixth slots, which were still within the comfort zone described by O’Neill. If Jeter is moved down, however, the likely landing spot would be seventh. Even for a player as mentally strong as Jeter, such a free fall would have to instill doubt. As O’Neill explained, it might even make him wonder if still belongs out there. At some point, Derek Jeter will have to relent to the passing of time. Whether that moment is now, however, remains to be seen. Like Mattingly before him, Jeter’s past performance should afford him some extra rope to prove that he is still capable of occupying a prime position in the lineup. But, when that time runs out, it will be incumbent upon Jeter to fully endorse the change. That is, after all, what Captains do.